Virginia Tech’s Barley Breeding Program, one of only a handful of such programs in the Eastern United States, is making strides in the development of new and improved varieties of winter malting barley—a critical element in brewing—to help regional farmers capitalize on the rapidly expanding industry. 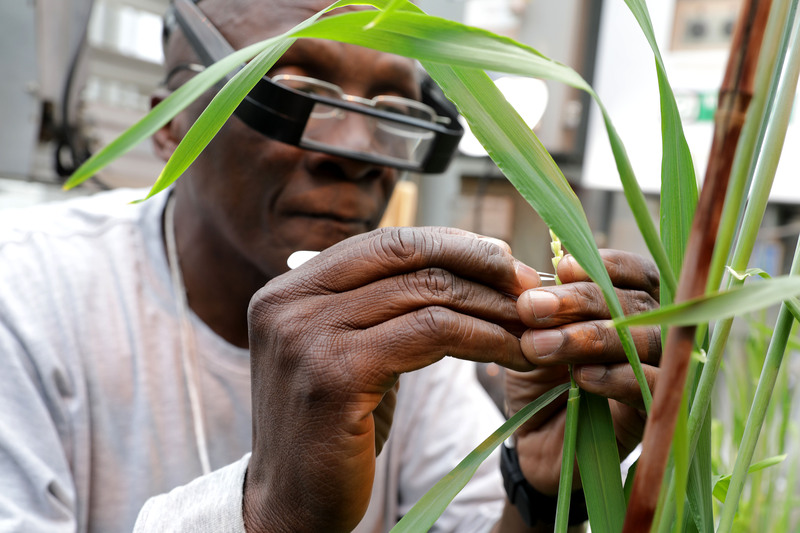 Wynse Brooks, senior research associate in crop and soil environmental sciences, meticulously works to cross different strands of malt barely by hand. Although malt barley is most commonly grown in the Midwest and Northwestern states, finding a successful Virginia strain is important for farmers like Essex County’s Bryan Taliaferro. “Malting barley has a good market and good price if you can meet the quality,” said Taliaferro ’68, master’s ’70. Although the market for feed barley diminished long ago, according to Taliaferro, the grain remains a valuable crop. Barley is harvested early—before wheat—which leaves ample time to plant other marketable crops, like soybeans. Brooks spends the better part of a month each spring breeding barely inside a greenhouse at the Hahn Horticulture Garden. Virginia Tech’s long history with barley dates back to the early 1900s when the focus was mostly on feed, but the rise of craft brewers and maltsters and the trend toward locally sourced agriculture shifted the program’s focus to benefit end-users, like Taliaferro. W.G. 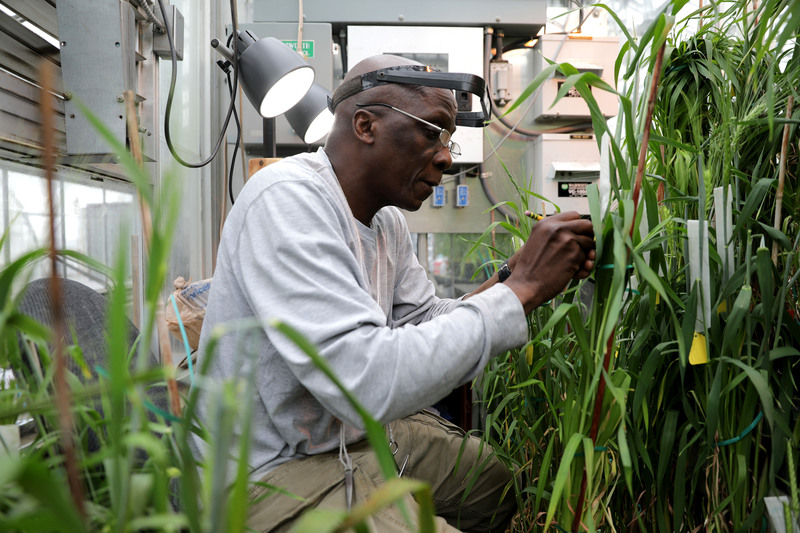 Wysor Professor of Agriculture Carl Griffey said the first real testing of malt barley started about two decades ago and found early success with a French malting barley known as Plaisant. “We crossed Plaisant with a Virginia feed barley and out of it came the variety Thoroughbred,” Griffey said. 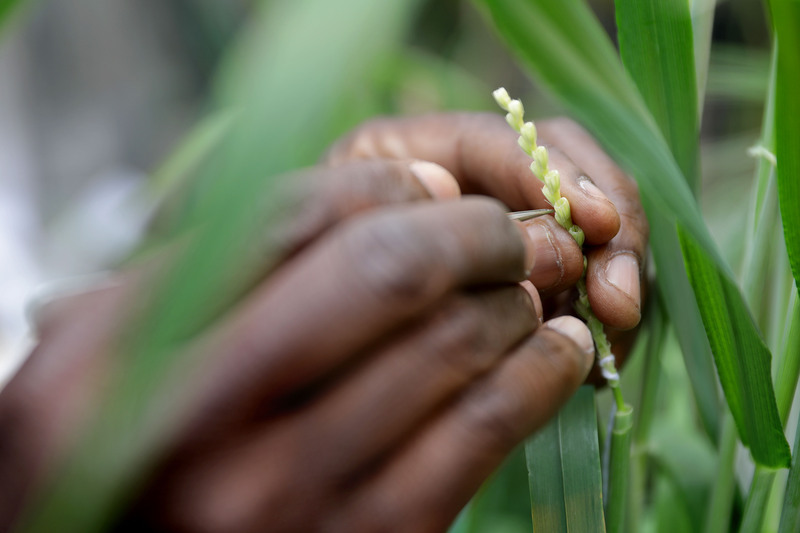 The Virginia-grown variety with malting properties paved the way for further breeding. 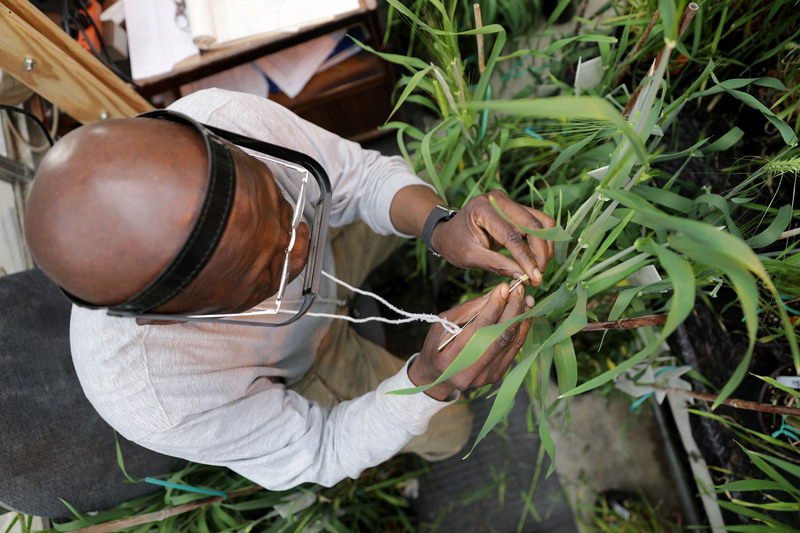 For years, Brooks has devoted the better part of a month each spring inside a greenhouse at the Hahn Horticulture Garden using magnifying glasses and tweezers to cross barley strands by hand. Since 2016, graduate research assistant Nick Meier has worked with Brooks and has become an advocate of sorts for their work, often speaking with maltsters, farmers, and brewers about the studies. “We cross them [the strains] together to mix the traits and find a variety that is adaptable to Virginia and has the malting quality like you’d see in Germany or France,” Meier said. The market for feed barely diminished long ago, but the recent growth of the craft brewing industry has increased the demand for malt barely. Virginia Tech is helping farmers capitalize on the opportunity. But finding a successful variety is only part of what is typically a 15-year process. Once a variety is identified and is successfully grown on Virginia Tech’s multiple testing plots throughout the state, it must be multiplied by seedsmen. Several of Tech’s potential malt barley varieties have reached this stage. “The varieties are developed. They’re ready to grow. We just have to increase it so there’s enough for everybody who wants to grow it,” Meier said. 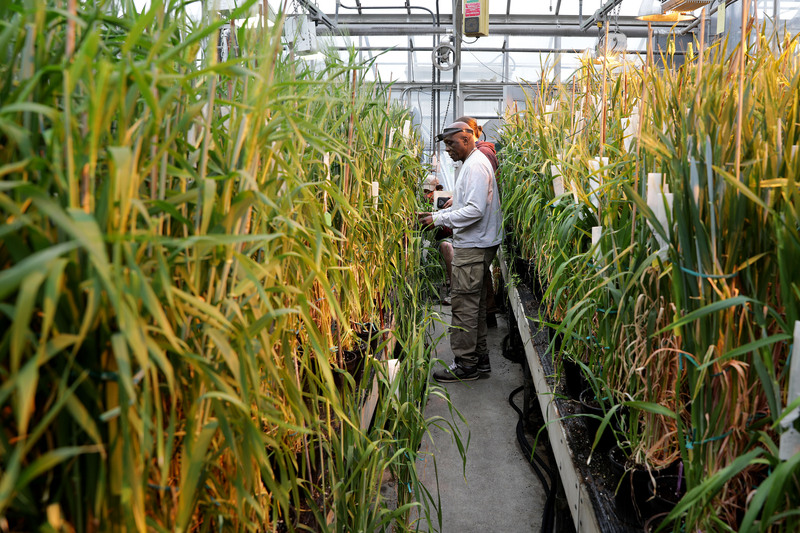 Virginia Tech’s work with barley has not only resulted in new varieties of the grain, the research has also increased awareness of other Virginia-adapted varieties. Dan Brann, a 1967 graduate and former Virginia Tech agriculture Extension grain crop specialist, credited Tech’s efforts, including its role in the collaborative Eastern Malt Barley Trial, with improving his knowledge of the crop. This year, he and business partner Chuck King grew more than 55 acres of two-row malting barley at Greer Farms and Sinkland Farm, both in Riner, Virginia. “If the barley breeding program at Virginia Tech wasn’t doing variety malt barley testing and quality evaluations, I would have never heard of either of the barleys we’re growing,” Brann said. One specific variety grown at Sinkland Farm, Calypso, was developed into an English-style pale ale, which quickly sold out at the farm’s on-site brewery and music venue. Cultivating successful barley varieties is one hurdle, but Virginia Tech is also working to help farmers piece together the business relationships needed to monetize the crop. “The biggest piece of being successful is building the network between suppliers and consumers,” Thomason said. The university’s network of Extension agents organizes from 30 to 50 meetings each year to share information with farmers and people in argribuisness. Businesses like Murphy & Rude Malting Co. in Charlottesvilleâthe commonwealth’s lone commercial production malt houseâare experiencing the benefits. 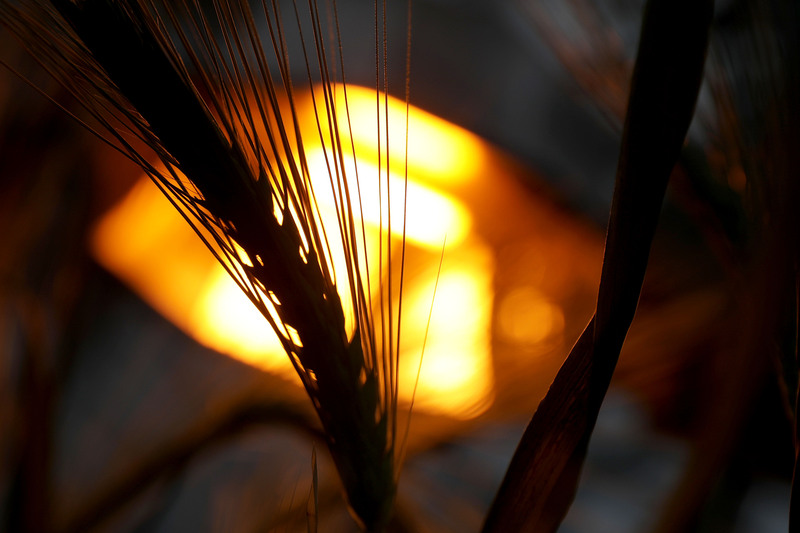 “I can honestly say that I would have not done this had Tech not been focusing specifically on the malting-quality varieties for as long as they had,” said founder Jeff Bloem. Bloem explains that the malting process involves tricking harvested barley into growing and halting germination before the growing seed consumes the sugars needed for brewing. He credits Virginia Tech with not only helping him find a barley supply to start his business, but also with contributing to his reputation as a supplier. “Having university-level barley and wheat test plot data showing the results of different management techniques across myriad varieties, many bred specifically for malting, at six different locations across the commonwealth really inspires confidence in the marketplace by legitimizing my supply chain,” Bloem said. Riverbend Malt House in Asheville, North Carolina, also recognizes Virginia Tech’s influence in shaping their successes. The malt house has grown from producing about 50,000 pounds of barley during its first year in 2012 to being on pace for more than 1 million pounds this calendar year. And they’ve malted tons of Tech’s Throughbred, some of which has ended up in New Belgium and Sierra Nevada beers. “Virginia Tech was a big piece of our success early on and continues to be today,” Manning said. As a member of the Board of Directors of the Craft Maltsters Guild, Manning is conscious of the university’s impact on a larger scale. “The work that Virginia Tech is doing has benefitted a lot of craft malt houses and farms throughout the eastern seaboard,” Manning said. Such results are Meier’s favorite part of studying at Virginia Tech. The economic and agricultural impact makes alumni like Taliaferro proud.